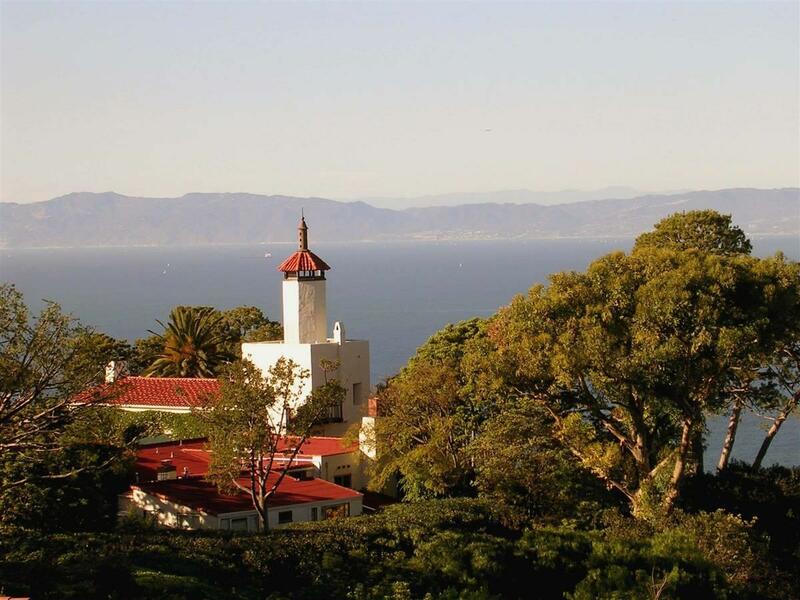 1) One of the most notable landmarks in Rancho Palos Verdes is the Wayfarers' Chapel located in Portuguese Bend on Palos Verdes Drive South about a 10 minute drive to the Palos Verdes Beach and Athletic Club along the coast through Rancho Palos Verdes. This "Glass Church" was built by the Churches of the New Jerusalem in 1951 as a national monument to Emanuel Swedenborg, an eighteenth-century mystic. The construction was made possible by Mrs. Narcissa Vanderlip, who donated the site, and was designed by Lloyd Wright, son of Frank Lloyd Wright. The Wayfarers chapel is also a very popular wedding venue. The main hotel building is a 5 story structure containing 360 rooms. The 62,000 square foot conference center includes an 18,000 square foot main ballroom plus two junior ballrooms. 3) The Palos Verdes Country Club in the Valmonte area of Palos Verdes Estates was recently remodeled and is an excellent venue for a wedding with a large clubhouse room and wonderful golf course views. Location: The Palos Verdes Golf Club is located at 3301 Via Campesina. 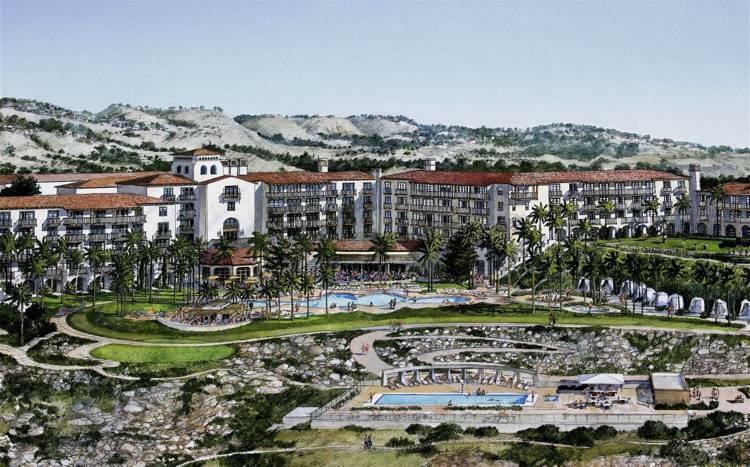 The land and facility belongs to the City of Palos Verdes Estates and the Club is operated under a concession agreement with the City. The Clubhouse was recently reconstructed and remodeled and enlarged and is available for weddings and special occasions. 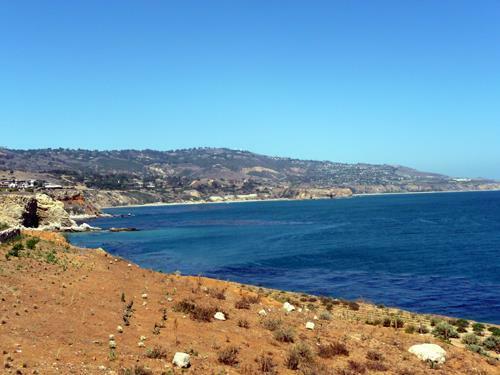 Location: One Ocean Trails Drive, on Palos Verdes Drive South, just north of the border between Rancho Palos Verdes and San Pedro. Directions from the Harbor Freeway: Take the Harbor Freeway south until it ends at Gaffey. Turn left on Gaffey to 25th Street. Right on 25th Street until it narrows and turns into Palos Verdes Drive South at the border with Rancho Palos Verdes. Go approx. 1`mile and turn left on Ocean Trails Drive. From Palos Verdes, take Hawthorne Boulevard directly to the ocean and turn left at Palos Verdes Drive South. It is about four miles to Ocean Trails Drive. Club house: The Cafe Pacific restaurant is excellent, offering spectacular ocean views. The Grand Ballroom, seating over 300 guests, is available for weddings and special events. 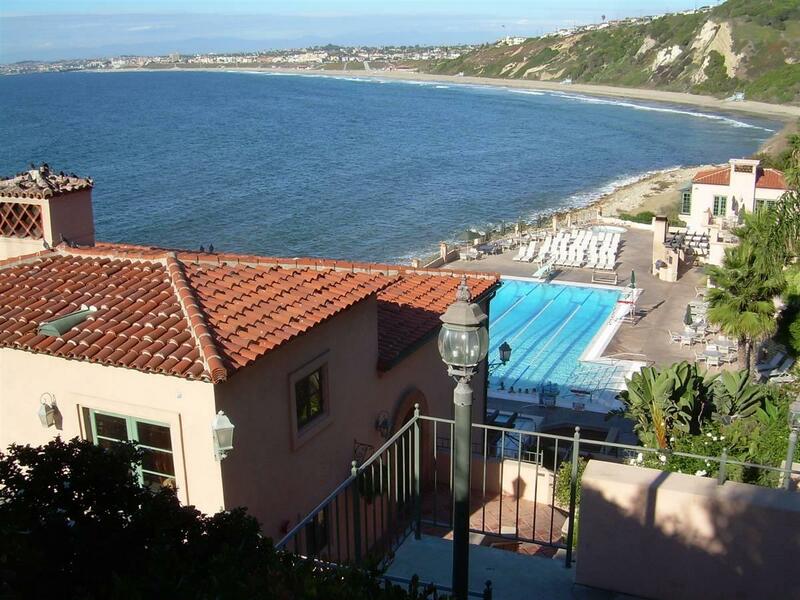 5) One site very popular for weddings is the La Venta Inn overlooking Malaga Cove in Palos Verdes Estates. 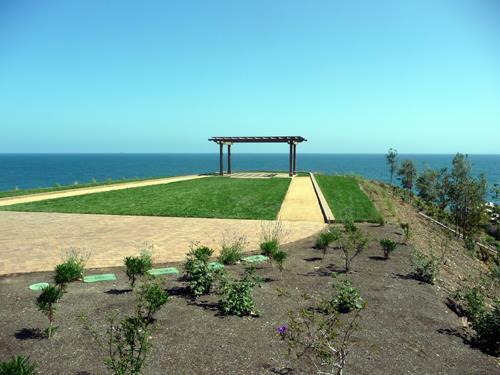 The views from their outdoor wedding area overlook the entire Santa Monica Bay and are spectacular!!! 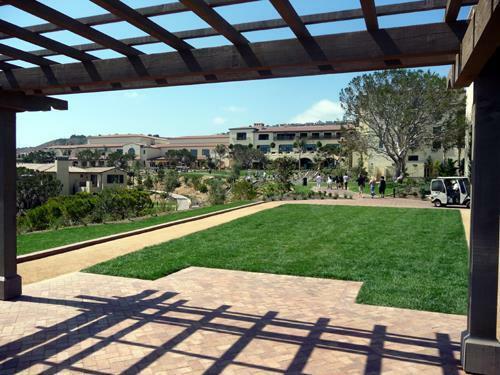 The Neighborhood Church is a great facility for weddings, and has both a beautiful chapel as well as a large outdoor grass area for outdoor weddings that overlooks the ocean.. Right next door to the Neighborhood Church is the Palos Verdes Beach and Athletic Club, which is a great venue for a wedding reception. 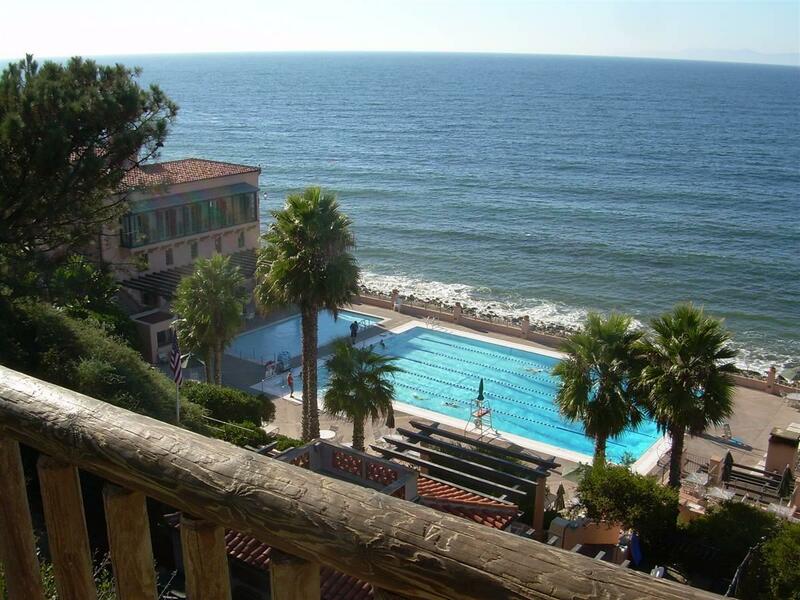 The arrangements for the rental of either the Club Room (which has great ocean views), or the full pool deck area must be made through a club member.